If you recieve a text message saying, "(Name) invites you to TruckIT. 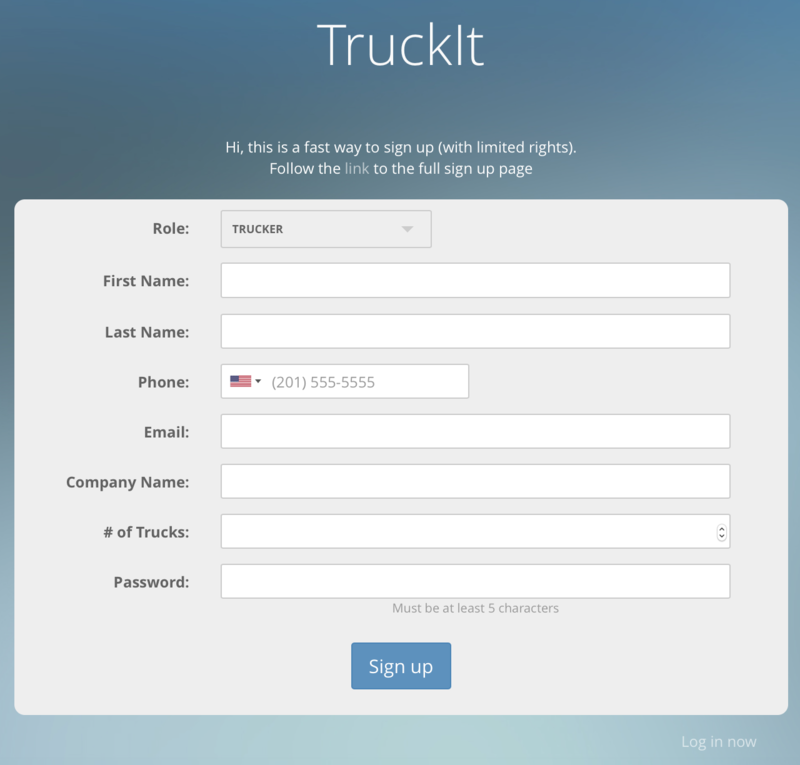 Please follow the link below: (link)," this means a contractor has sent you a formal invitation to join TruckIT so he can send job requests to you. Opening the link at the bottom of the text will bring you to this page. Signing up using this form will give you a limited access account for either role: Trucker or Contractor. To sign up for the full service and have access to all Truck IT&apos;s features: Click Here. For more information about our Trucker account: Click Here. To learn more about our different account types: Click Here.